We all KNOW that a snow day, is a SEW DAY! snowstorm in my neck of the woods! thanks to the weather this past weekend. I love the Halloween-esque colors I went with. I am not sure what to tell you? combined with the night colors of purple and black. Yep......pretty much Halloween looking to me? of this quilt, it sewed up beautifully. Her seam guide ruler truly is my best friend! 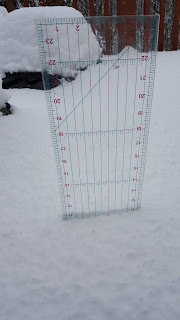 all in all I got 13 inches! I'm getting every last cent out of that quilt ruler! You want me to do WHAT out there in the snow?!?!?!? This was the perfect snow to do this with! Put together a quilt puzzle. Isn't this a cool one? 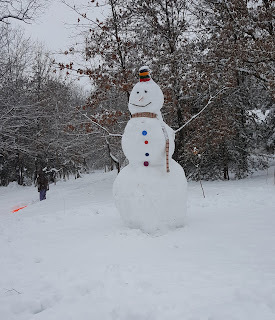 a 10 foot 9 inch snow man! neighbor that owns a tractor! neighbor Mike not plowed my drive for me! mind the snow that much? Of course I don't let them stay out in it for very long. Tell me, what do YOU do on a snow day? Your mystery quilt is awesome! I love the Halloween colors. I am still making units for mine. What a snow! 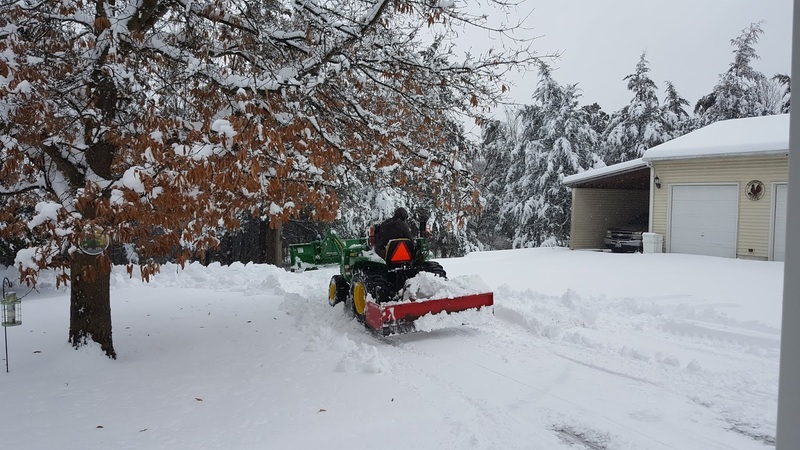 We got 16 inches - lots of fun for the grandkids, not so fun for my husband with cows and baby calves! Well, Buffalo, NY got no snow, so no extended sewing. I just love your completed quilt and I don't like Halloween quilts. Glad you took it all in stride! Great photos! Wow, your Good Fortune is beautiful. Love those colors. Love your color choices on Good Fortune. It’s awesome! If the snow is deeper than Gracie Poo, I don't blame them for not wanting to go outside. They should have quilted capes and booties. LOVE your spooky Good Fortune. Those blacks really make the greens and oranges pop. LOL on getting your money's worth on that ruler. Ducks don't mind the snow either. My chickens won't even try to step in the snow...big babies. Glad your neighbor dug you out. He needs a tractor quilt or something. Happy snow day. Owen will be putting his pajamas on backwards and flushing ice down the toilet in hopes of a snow day tomorrow. 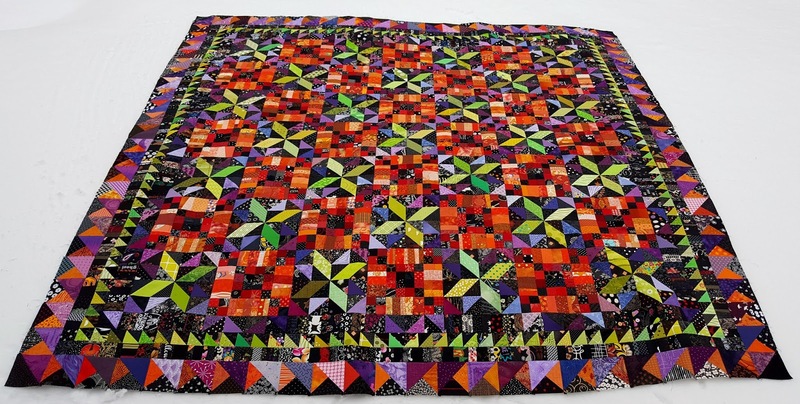 Such a different look from other mystery quilts I have seen. We didn't get this snow storm, but we are in Artic Freeze with single digits - brrrr. This is a great post. Your Mystery quilt is a beauty. Hard for me to understand but you have way more snow than we do here in Ontario, Canada. But it has been cold here so we too are well into the winter activities including inside!! Your mystery quilt turned out beautiful! I love that color scheme. We have absolutely no snow on the ground. Ice coming tonight though. I can see the Halloween in your quilt. Love the colors. Maybe I'll try to do one also. 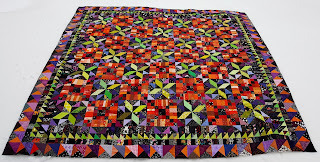 I have some purple with black bats in the same shade you have in your quilt. 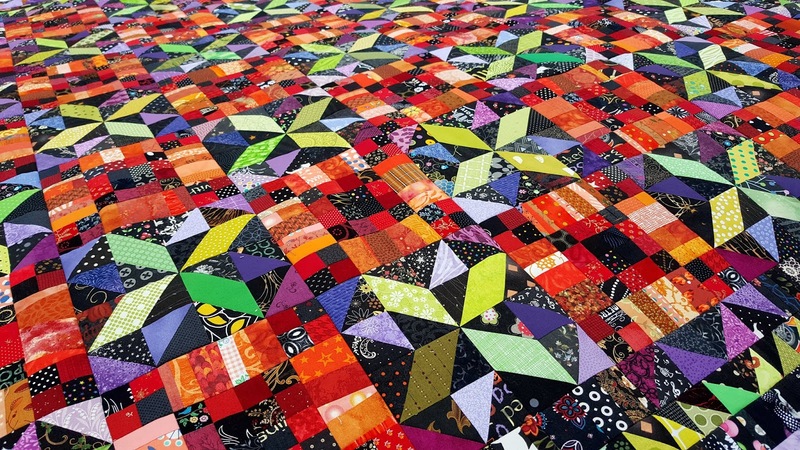 That is such a pretty version of Bonnie's quilt! 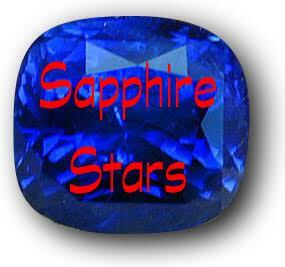 Halloween or not, I love the deep, rich colors! You really got dumped on! You have a couple of smart doggies! 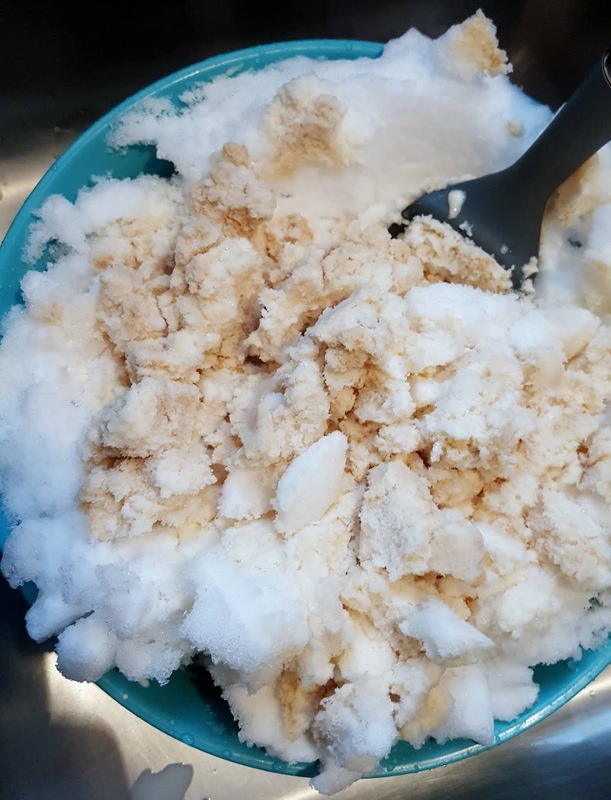 I have never heard of making snow cream like that. 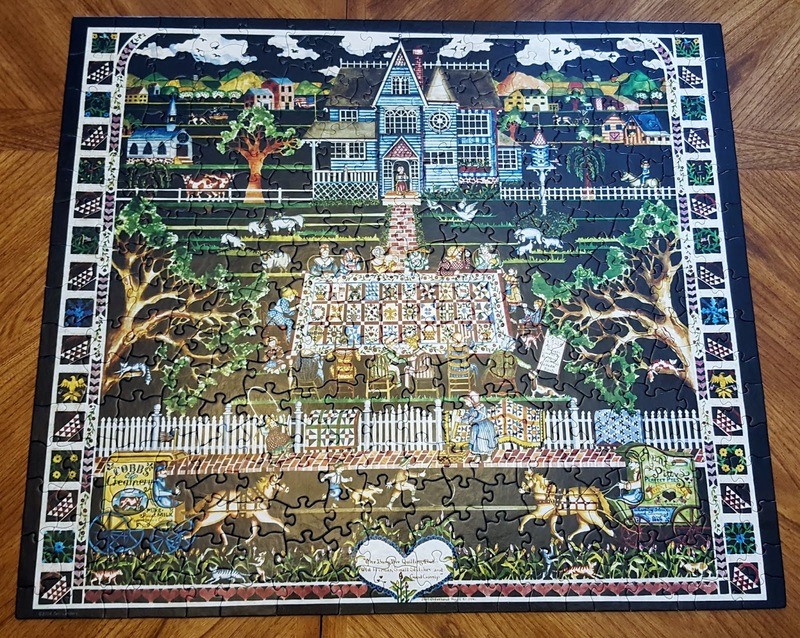 What a great puzzle!! 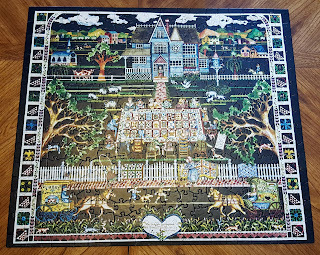 Love doing puzzles. 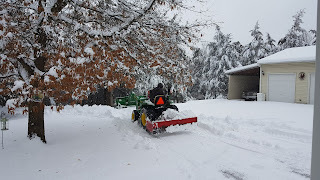 We have a wonderful neighbor with a big plow that digs us out after heavy storms. I know how deep that gratitude runs! What do I do on a snow day? Be the chicken, not the turkey. Just stay in my coop and sew! Looks like you had a grand time while the snow was blowing and drifting! January is a great month for puzzles too! We have almost zero snow here, which is very unusual. Everything is brown; it either needs white snow or green with spring florals! Love your version of Good Fortune! Oh, your snow makes me hope the storms they are predicting for us this week give us this much - the mountains are expecting up to 6'!! Of course, that means I have to shovel the back patio and part of the grass for my little girl so she can potty without disappearing...she doesn't appreciate the snow at all!! Wow - love your colors! Great job of the finish - congratulations! 17 inches here in Mid-Missouri! Our guild had a retreat planned, but decided to reschedule. Sure glad we did. Love your colors in Good Fortune. I've been cleaning out my scraps pile!! We had an ice storm, housebound without power, but we have a generator so I can still sew. 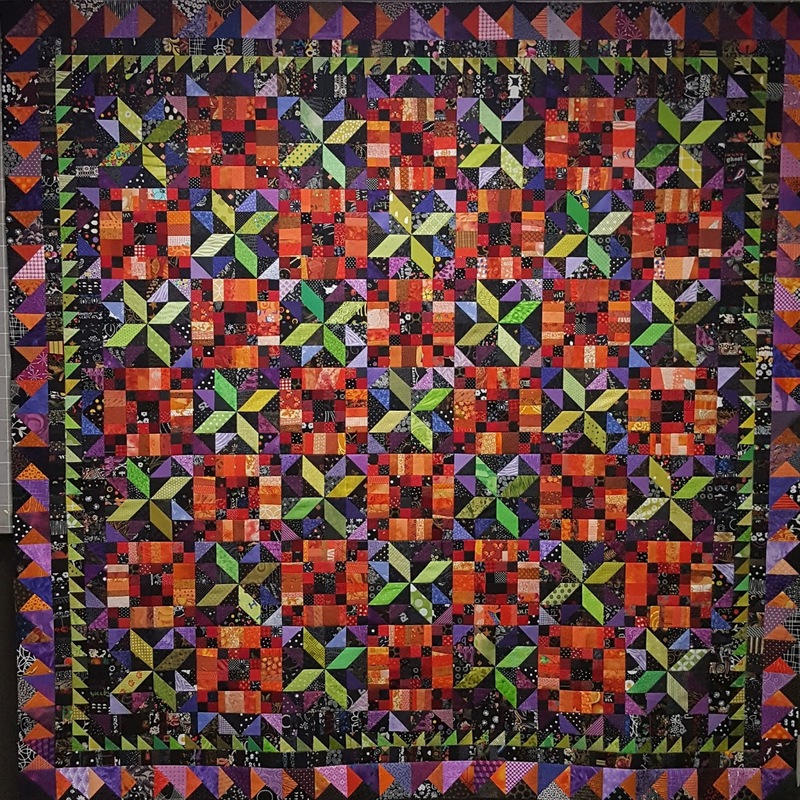 love your quilt, i read the comment on facebook and said the same,you can't get any more holloween then those colors. i bet it's beautiful close up too, with all the cool fabrics. 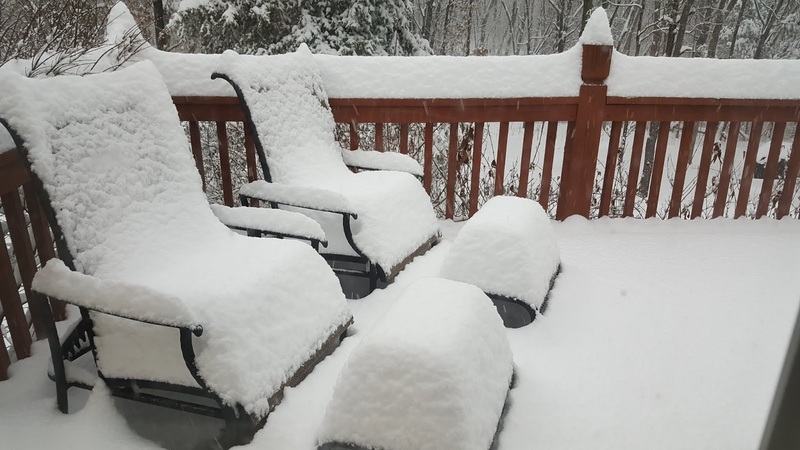 your snow pictures remind me why i came back home to florida.it was fun while i was younger living in wyoming, but i'm glad i'm back home and not having to deal with that. I love your version of "Good Fortune". Perfect colors for any time of the year!! So happy that you enjoyed some happy snowsewing! 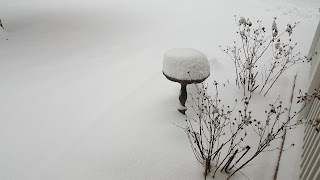 If I were to describe a "perfect day", it would be, me sitting in my happy chair with my hand applique watching Charlie Chan or Roy Rogers and glancing out the window at the gently falling snow. Oh, forgot to mention - with a plate of chocolate cake of course! We only had about 5 inches of snow in Oklahoma a couple of weeks ago, but I got some nice fluffy snow off the deck railing for snow ice cream! I just used regular milk, no canned milk in the house! Takes me back to great childhood memories! 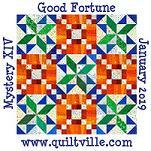 Love your Good Fortune quilt with the dark neutrals! I haven't started mine yet, but orange and black will be featured to rally my Oklahoma State Cowboys! 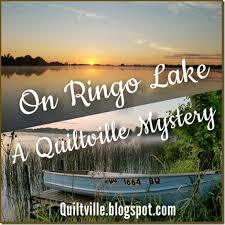 Happy quilting - May be more snow this coming weekend - highs in the low 20's so I'll be staying inside! WOW! that's a LOT of snow! 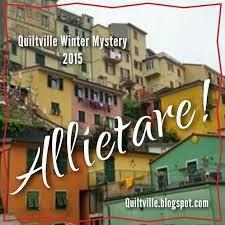 I LOVE your mystery quilt and the photo in the snow is perfect! Great job! 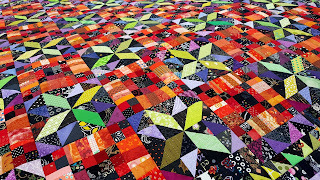 I love all those bright colours in your quilt. make the most of your snow days and stay inside sewing. 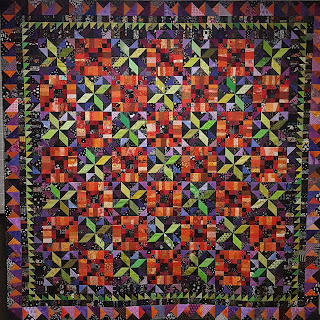 Your "Halloween" color quilt is stunning. Yes, it looked nice in the snow, Kevin. 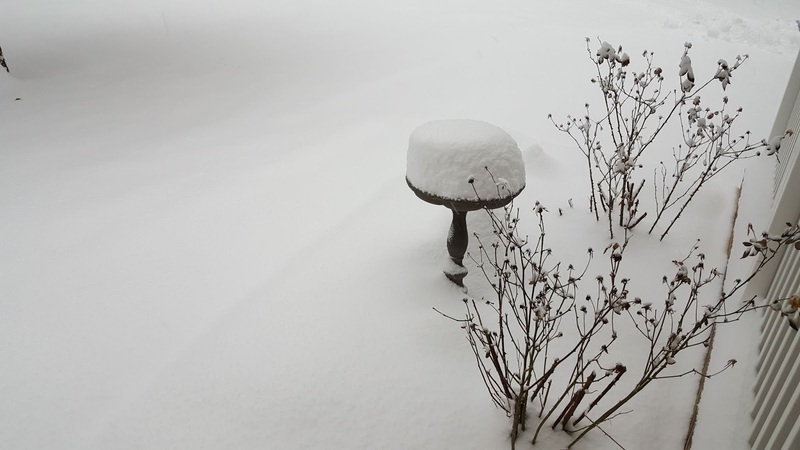 Is 11-13 inches of snow the usual for your area of the country? 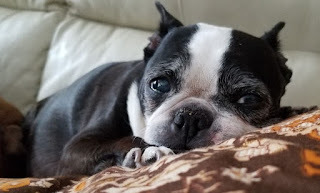 (feeling dumb and lazy) I live right on the east of the Blue Ridge Mountains, over the hill in Northern Virginia, 40 miles west of the cesspool that just got smellier. 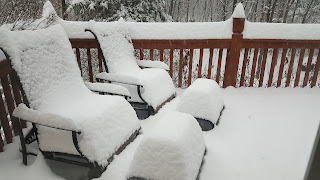 We got 12 inches of snow this week-end. The usual problem for us is a firm forecast because the weather gets funny when it goes over the mountains and then the ocean likes to join the party, so what could have been 4" turns into a foot or more. 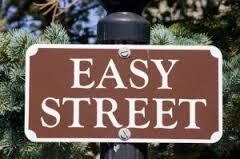 Of course everyone here in the DC area is a horrible driver and they just go berserk - so annoying. I love that you stuck your ruler in the snow. I love your chickens, they are so so so adorable. Do you provide them with some heat? Turkeys are tough, yeah, look at them strutting around. This snowman is epic. Yay, you got some good kids around you and also sweet neighbors. Our neighbor up the street came with his new toy (mid range snow blower) and cleared our driveway and sidewalks. That was so very nice of him. I need to make them something tasty and some wine too and a table runner. Well, I could turn this into a novel on your blog, so I will end here. Your blog brings me joy. 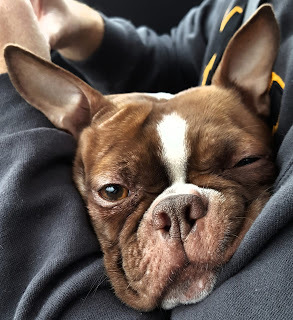 Hubbs just had icky eye surgery today but he is going to get better soon. I hope to get some cleaning done tomorrow and sewing, I love sewing. I wish I had more time but my 95 year old daddy needs me. Your quilt looks like a garden, filled with poppies and forget me nots. But Halloween is fun too! PS When it snows, of course I sw, plus I like to bake bread and oatmeal cookies, make soup or chili. Mo the pug enjoys the snow so out we go, me wielding an old ski pole so I don't fall. Love your good fortune quilt, i will swap you your snow for our 48c or 118f. It was so hot it hurt to breathe. We only got about 4 inches. More snow coming here this weekend. I'm hoping the class I'm teaching doesn't get cancelled by snow. Love your Halloween inspired mystery! So colorful! Your quilt is so beautiful! You've done a lovely job. Wonderful work! I do admire you. I like your blog very much and I will certainly read your posts more often. Your posts are very inspiring! Awesome quilt Kevin! I love it. It's gorgeous...and bold. I would like you to share the snow with us ;-) What a beautiful landscape! and your quilt! oh my - your quilt! your color sense is truly awesome!! I love it!! Enjoy! Love your version of Good Fortune. It doesn't scream Halloween even with those colors. So that's good, it's not just for one season. We have family in St. Louis, their facebook pictures were pretty spectacular. Hope you were able to get around. Were you affected by the fire at the airport last weekend? Oh my gracious! You did end up with a lot of snow~! Is it still there? 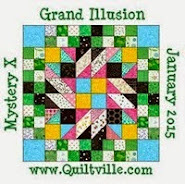 I love your mystery quilt although I may be one that doesn't "see" Halloween. Its beautiful! I hope all your pets weathered the storm okay. Snow days are perfect for quilting and puzzling! Great job on the Halloween Good Fortune! I'm still making blocks parts and wondering how many I should make! Your Good Fortune is gorgeous! 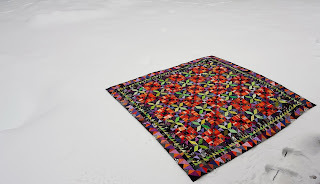 All of that snow was a great time to sew and quilt. 'Kinda glad we rarely get much snow here in Alabama. Happy birthday to Momma and Bubs!! !